Sisters and Associates gathered at the Catherine Spalding House on Dec. 1 to celebrate Foundation Day, the Golden Jubilee of Sister Anne Marie O’Shea and the 60th Jubilee of Sister Martha Walsh. 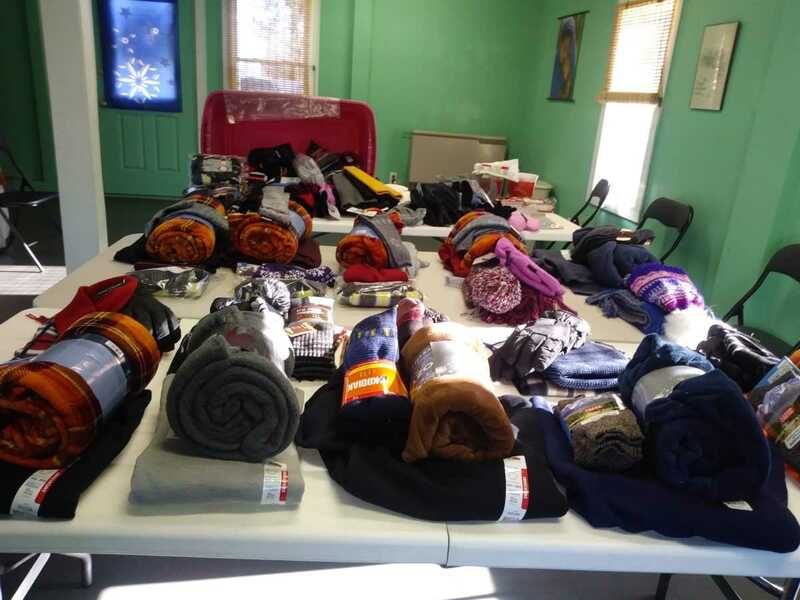 They also donated winter items for Blessing Bags. These bags will be distributed to our homeless sisters and brothers, those living on the streets, under bridges, and in city parks. 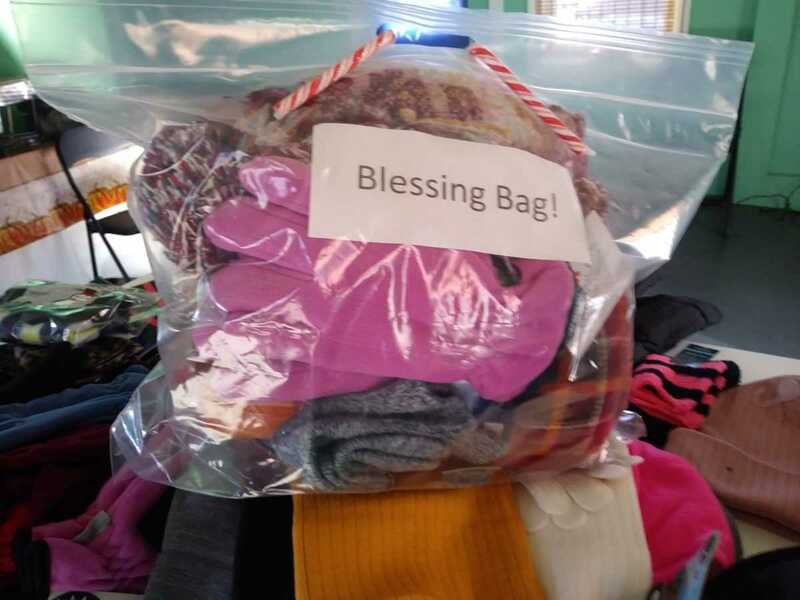 Blessing Bags are filled with winter hats, scarves, gloves, sweatshirts, warm blanket, chapstick, peppermints, and chocolate candies. Sister Ann Whittaker blesses a completed bag. Thanks to all for loving donations and Blessings to those who receive them! What a wonderful idea and a great ministry! I can envision the smiles and gratitude of the ones who will receive THE BLESSING BAGS. tHANKS FOR ALL YOU DO. That’s soooo wonder-filled! I’m sure the people were happy to get the items. Thanks Ann and Anne Marie and all who helped do that. What a wonderful way to celebrate jubilees and Foundation Day! God is indeed pleased with your loving gesture. May God bless you.